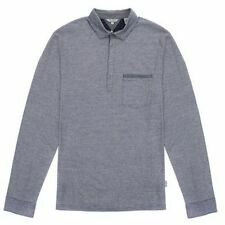 New listingZ162 MENS RALPH LAUREN BLUE BUTTON COLLAR L/SLEEVE CUSTOM FIT SHIRT L 42"
WAIST 28 30 32 34 36 38 40 42. CHEST 34 36 38 42 44 48 50 54. PIT TO PIT 22". For everyday wear, casual shirts and tops are a staple part of your wardrobe. There are a huge variety of styles, sizes and fabrics to choose from depending on your tastes. Casual shirts can be teamed with a range of items to create comfortable yet stylish looks. If you're looking for high-end names, there is a variety of brands including Superdry, Ralph Lauren and Ben Sherman plus many more that offer good quality, authentic clothing options. From long-sleeved shirts and tops to popular styles such as the polo shirt, there is something to suit everyone, for work or play. Having staple classic lines in your wardrobe is ideal for creating on-trend outfits. 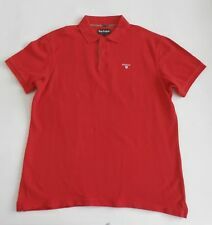 A classic t-shirt or polo shirt is a popular and affordable way to create a fashionable look. These simple designs are also ideal for casual workwear options. 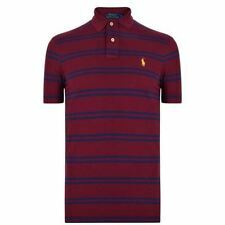 There is also a selection of top brand polo shirts including Lyle and Scott, Hugo Boss and Polo plus much more for a smart, classic style. 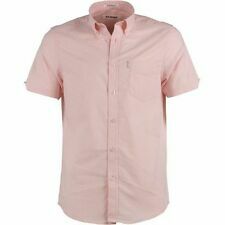 It's easy to find stylish men's casual shirts and tops that offer on trend looks with top brand names. Whether you are looking for t-shirts or long sleeved casual shirts, there is a huge selection of well-known names to add to your wardrobe here on eBay. You can find casual shirts from labels such as Armani, Firetrap and Brave Soul that add a smart yet comfortable aspect to your attire. Shorter sleeved examples such as plain t-shirts and polo shirts provide a staple everyday look, which pairs perfectly with jeans. 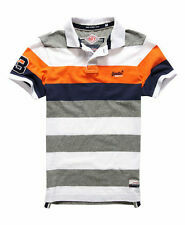 The range of casual shirts and tops come in a variety of styles, sizes and colours suitable for a variety of tastes. There is also plenty of choice for ideal clothing from spring through to winter. The selection of vibrant t-shirts and short sleeved tops is ideal for the summer months and long sleeved shirts and tops offer comfort and warmth during the cooler months.